car transports | Car Couriers Inc. If you have a car courier service for your vehicle and a moving company shipping your boxes, you may think all of the work is done before your big move. While taking care of your car and other belongings are certainly some of the most important aspects of the process, that’s not all you have to do. We know that moving across the country, or the world, can be a fun and exciting experience. Don’t put a damper on your move by forgetting the following things you need to take care of. One of the most important things that people tend to forget is checking in with their bank. For one thing, you should at least notify your bank of your new address. More importantly though you should check to see if your bank even has a branch in your new town. While you may rarely go to the bank anymore thanks to mobile apps and online checking accounts, you may have to switch to a new one if they don’t have a presence near your home. Another important tip is to notify the post office of your new address. In most cases, they will be able to forward your mail for a few weeks after the move. This is important because not everyone may find out about your new address right away, and you don’t want mail going to your old house. Before hitting the road and moving to your new location, you should do some research about the area. Take some time to learn how to get from your house to your new job, find out where the nearby schools and medical centers are, and just generally learn about the local area. 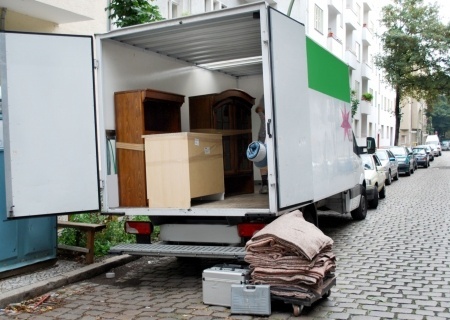 By following these steps your entire move should go much smoother, and with your car and belongings already waiting for you when you arrive, you won’t have to worry about a thing.